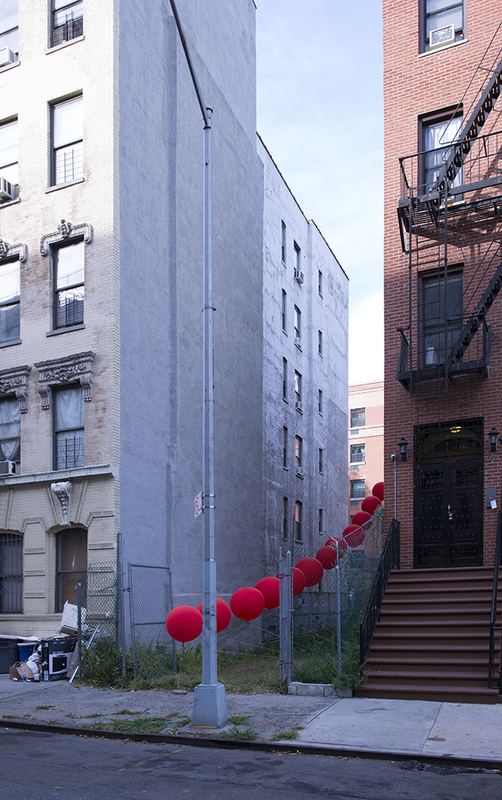 Installation work, "Harlem Celebration," engages into the context of the sliver site shadowed by 4-story and 6-story adjacent buildings. Except during the day with southern sun, the site casted by the shadow feels very heavy and suppressed. 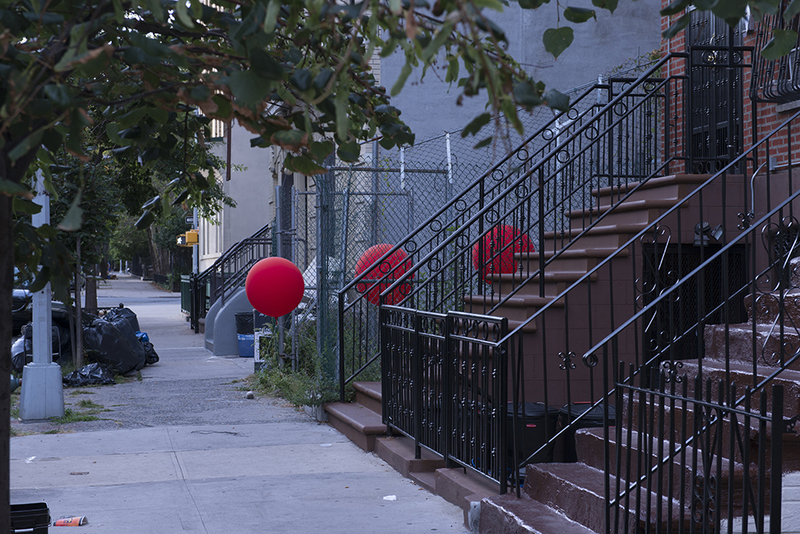 The anti-gravity nature of balloons, especially in bright red color, alleviates the darkness and heaviness of the site. The parabolic trajectory consisted of 22 giant balloons addresses the speed and dynamic movement within the site. Each balloon is anchored by three points; one common point for 22 balloons and two points on each side. This creates a parabolic trajectory in longitudinal view, but gives a freedom to shift its position in frontal view point.